Cultured pearls are our most popular choice for starter necklaces. They have a higher luster and are more perfectly round than Natural pearls. Cultured pearls are the traditional pearl we think about brides wearing on their wedding day. Natural pearls appeal to a very specific person who knows and wants natural pearls. They are very rare. Their luster is less-glossy and more unique from pearl to pearl. Natural pearl necklaces are usually designed in a graduated style whereas cultured pearl necklaces can be designed to be either uniform or graduated. Our Original chain is the traditional style that has been used on all Add-A-Pearl necklaces since 1915. It is a petite cable link chain, delicate yet sturdy to perfectly complement an Add-A-Pearl necklace. The Premium chain is a diamond-cut Singapore chain. It’s heavier and shinier than the Standard chain. Diamond cut chains have flat surfaces cut into the metal which flashes and catches light similar to diamonds. This is purely a personal preference. At Add-A-Pearl, 14K yellow gold has long been the traditional favorite. Pearls look bright and very elegant against the yellow metal although in recent years, white gold has become a more popular choice for jewelry. Sterling Silver is an excellent option as an affordable white metal option. Choose a Starter Necklace ? Natural Pearl necklaces are usually created in a graduated style with larger pearls in the center tapering to smaller sized pearls near the clasp. If you prefer a uniform styled necklace or sizes not shown , please contact us at 855-392-6640 so we may customize a necklace especially for you! Would you like to name this necklace? Naming your necklace enables you to track your necklace to add pearls to it in the future! * Optional. Enter a birthdate if you'd like to receive reminder emails when it's time to add pearls. Pearls can be added any time you want to commemorate special occasions throughout her life. Over time, her necklace will become a timeless gift of beauty and shared memories. 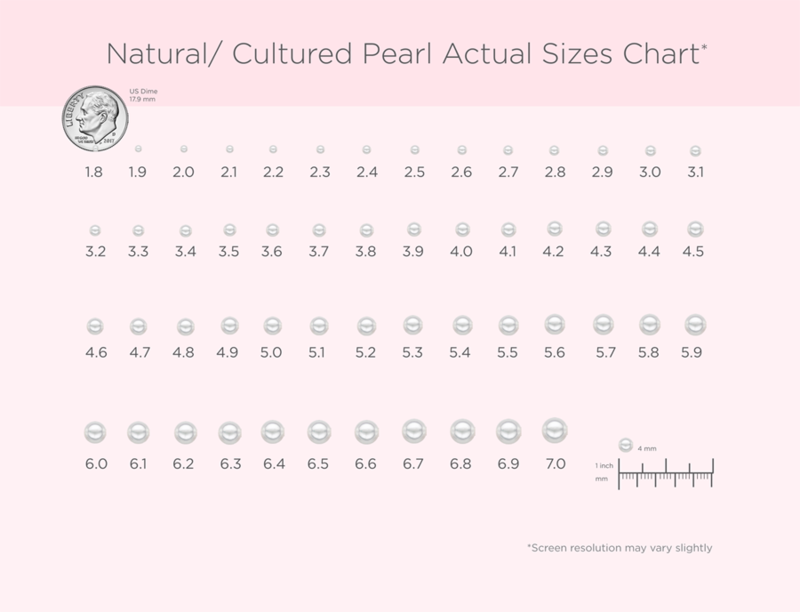 To help you visualize pearl sizes you can click here for a chart of Actual Pearl Sizes and how different pearl sizes will look on a model. Typically, Natural pearl necklaces are created in a Graduated Style with one large center pearl and with smaller pearls flanking the sides all the way to the clasp. We suggest you follow the Plan to ensure a beautifully balanced and proportional necklace. 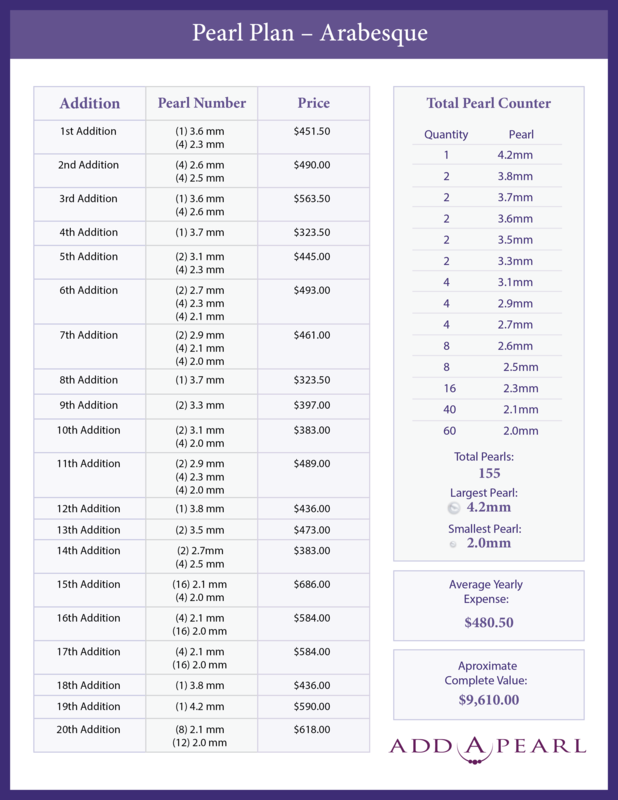 If you prefer a Uniform natural Pearl Necklace, we are happy to help you design a necklace exactly the way you’d like. 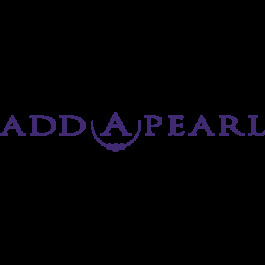 Please call 855.392.6640 or email felicia@addapearl.com for more information. Most orders received before 12 PM CST will be shipped the same day. We ship on all regular business days. Business days are Monday – Friday. Most orders will be shipped by FedEx. 2-Day shipping orders will arrive within 2 business days of shipping. 2-Day and Overnight shipping options are available at checkout. From bouncing baby to beautiful bride, give the gift of an Add-A-pearl Starter Necklace. This special gift can grow with her, each new pearl marking every magical milestone: first steps, first birthday, first communion, first day of school, and beyond! Click here to read How To Start A New Necklace.